Following the largest ever exhibition of Leonardo da Vinci’s studies of the human body, the Royal Collection commissioned the development of an online learning interactive to showcase and interpret some of his work in an educational and family friendly format. 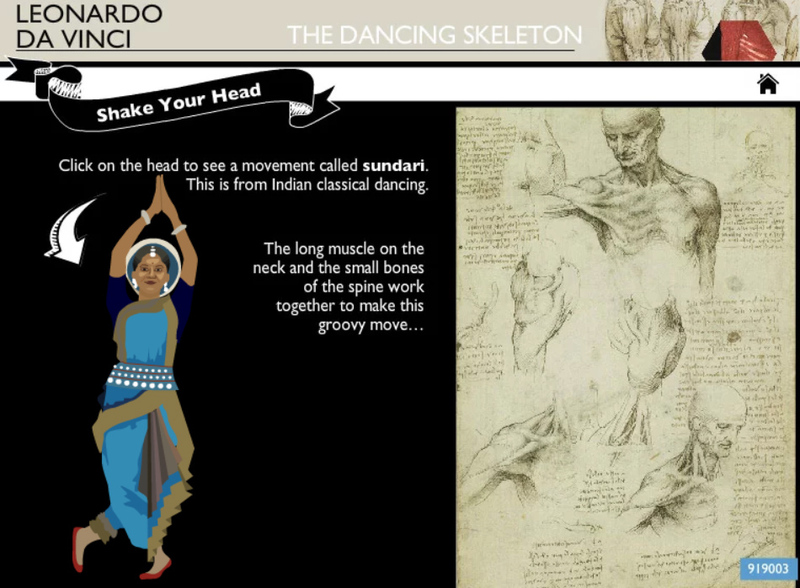 In ‘The Dancing Skeleton’ interactive you will discover how particular movements are made when humans dance using spectacular samples of Leonardo’s works of art. 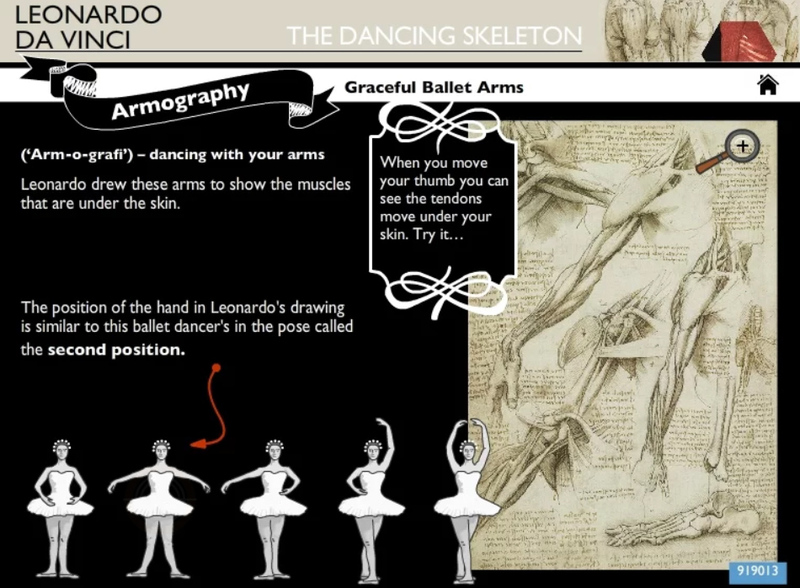 After working through fun quizzes and tasks, you will be able to make Leonardo’s skeleton dance. This interactive was developed with Key Stage 3 and lifelong learners in mind and is suitable for a variety of platforms including tablets.